As chairman of the House Committee, Mitt Romney's vice presidential choice, Paul Ryan, brings with him a record of pushing for freezes in federal pay and cuts in retirement benefits to address the country's fiscal woes. 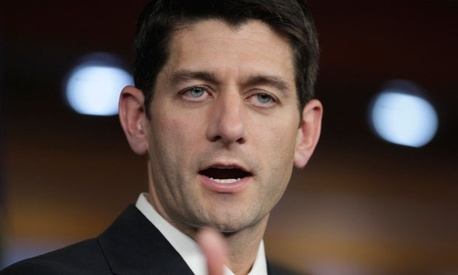 In March, Ryan unveiled a budget plan for fiscal 2013 that would cut the federal workforce by 10 percent, extend the federal pay freeze through 2015 and increase employee contributions to their retirement plans. In May, the House voted to approve a Ryan-backed bill that requires current federal workers to pay 5 percent more toward their retirement, with the increase introduced incrementally over the next five years, beginning in 2013. Members of Congress enrolled in the Federal Employees Retirement System would have to contribute an additional 8.5 percent to their defined benefit plan, with the hike added during the same time period. Federal employees hired after 2012 would begin contributing the additional 5 percent immediately. The legislation, known as the 2012 Sequester Replacement Reconciliation Act, included more than $300 billion in spending cuts during the next decade identified by six authorizing committees, including the House Oversight and Government Reform Committee. The spending cuts in the bill were intended to relieve the Defense Department from significant budget reductions resulting from sequestration, which is set to take effect starting in 2013. Defense is on the hook for $600 billion in automatic spending cuts under the 2011 Budget Control Act, which calls for $1.2 trillion in reductions governmentwide during the next decade.